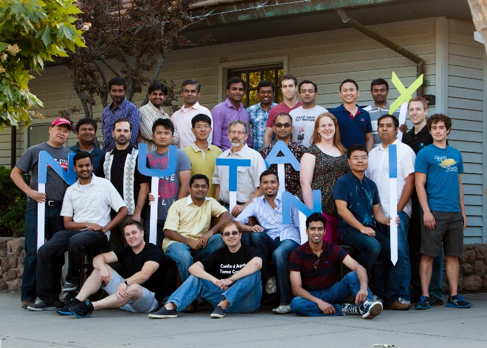 In November, I complete 5 years at Nutanix. When I joined, the product had been launched at VMworld in August and the first shipment was yet to go out. I was excited to work again with my former colleague Meghan Myers, who had started the practice of technical documentation at Nutanix. Today, when discussing how new hires are welcomed with various pleasant activities, I never tire of relating how I had to put my own desk together when I arrived, and that I returned from a week off to find someone else sitting at that desk. I also put my name on my chair lest it be misappropriated. Such was the pace of hiring at that time. There were are a lot of great things about being at young company of fewer than 100 employees. One was being able to know everyone in the company: development, QA, support, operations, marketing, even sales. Correlated to that was the clarity of what we were all working on together, with a strong focus on getting new customers and keeping them. The part that I liked the best though was the lack of any legacy expectations, tools, processes, or content. The field was wide open, which was also the challenge. Still, I loved nothing more than writing fresh technical material, editing marketing notes and blog posts, making new stylesheets, tailoring output, and developing new processes. middle row holding the T; Meghan Myers, middle row 3rd from right. In short, although everyone’s work had a different flavor, we were all there to do what needed to be done. The organizational silos, where they existed, had thin and low walls that presented little difficulty. Since those early days, there have been many other milestones: the first hire into technical publications, the second and third hardware platforms, launching a new support portal for hosting the documentation, building a team in Bangalore, having a manager and not only individual contributors reporting to me, losing the first person I hired, and of course the IPO. Probably the most significant change I personally underwent was the transition from an individual contributor to a manager. After I had been here for about a year and a half, the technical publications team comprised three individual contributors, myself included. We all reported to the then-VP of engineering, Bill Culman, who apparently could see the need to have a manager on the team. When he offered me the position, I didn’t have an immediately positive reaction. Moving to a management track had been discussed at my previous employers, and I just didn’t see any appeal in it. But as I thought more about it, I came back to why I joined a startup: to do what needs to be done. If management is what needs to be done, I decided, then I’ll do it. Things didn’t change too much for the first year as a manger, and even in the second. Although there were more administrative details like annual reviews, expense reports, and time off requests, I was still spending the majority of my time on deliverables. That really started to change once I had four direct reports. It was, as I had anticipated, difficult to relinquish direct control over deliverables and let the team do the great work they had been hired to do. I’m pretty particular about a lot of things, but it became easier as the team performed to a high level time and time again. Every year about this time as I look forward to the next 12 months, I get anxious thinking about how I will manage everything that’s coming my way. But this year my anxiety didn’t last too long—I’m sure that we will manage as we’ve always have. Not because things will work out on their own, because they won’t. Rather, it’s because we’ll work them out together. It’s true that the company is a lot larger than it used to be, and greater size requires greater process. Still, from where I sit I see the same eagerness to jump in and get things done. Fortunately, that doesn’t include assembling your own desk any more.